Today, I was roaming around looking for something to take pictures of. 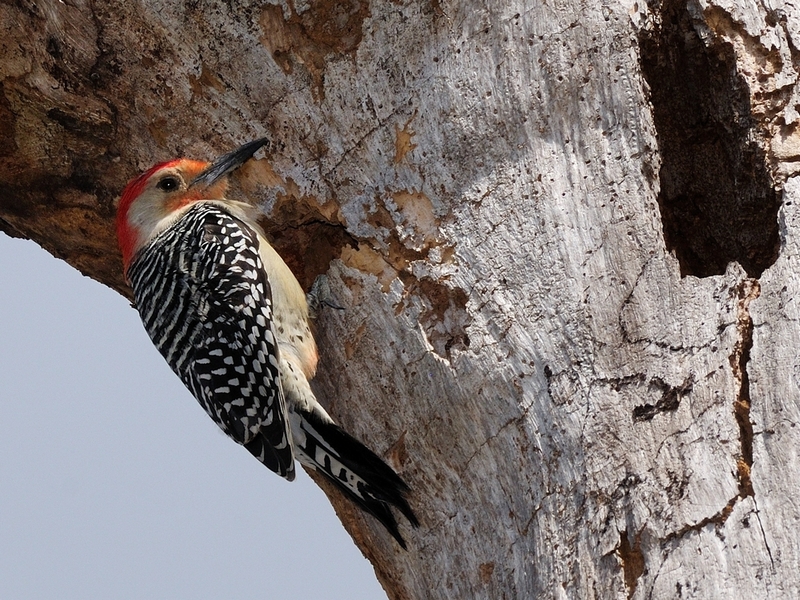 I ran across a Red-bellied Woodpecker on a snag not far from downtown. 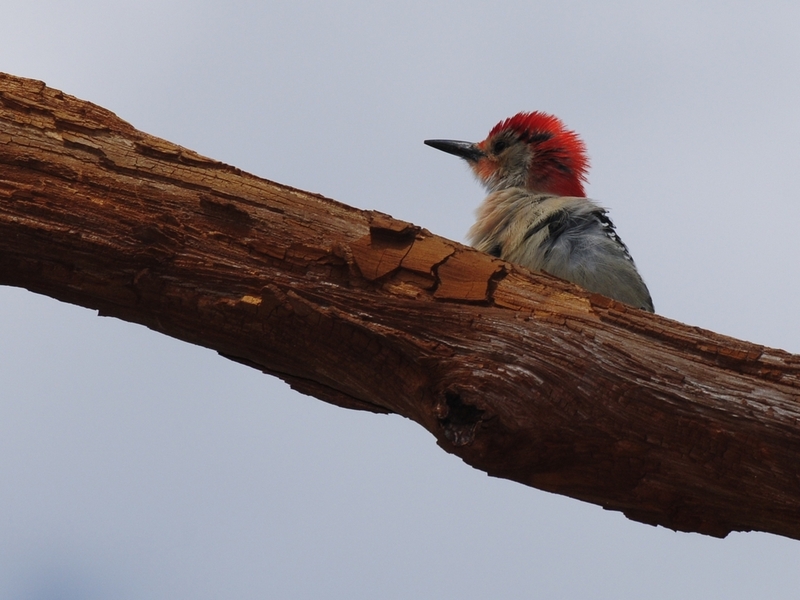 The angle was a little low but, that’s often the case with woodpeckers so, I started shooting. Unfortunately, the sun was at the wrong angle for where the bird was working. I was getting it going in and out of shadow and, in Florida, that’s a major difference. I could shoot and figure on postprocessing to take care of the awkward shadows but, I’m much happier when I can get the light right in the shot. This is one that took a little bit of post to lighten up the head but isn’t too bad. But, it still wasn’t right. I decided to use my SB-800 flash to provide a little fill. In fact, it was used in the picture above but I still needed to postprocess to get it halfway decent. Then, I remembered that I had my Better Beamer in the back of the car. The Better Beamer is a contraption that holds a Fresnel Lens in front of the flash and focusses it at a longer distance. When I got back from attaching it, the bird had moved but I took two pictures in the new position. The one on the left is the flash alone and the one on the right with the Better Beamer. Wow, what a difference. 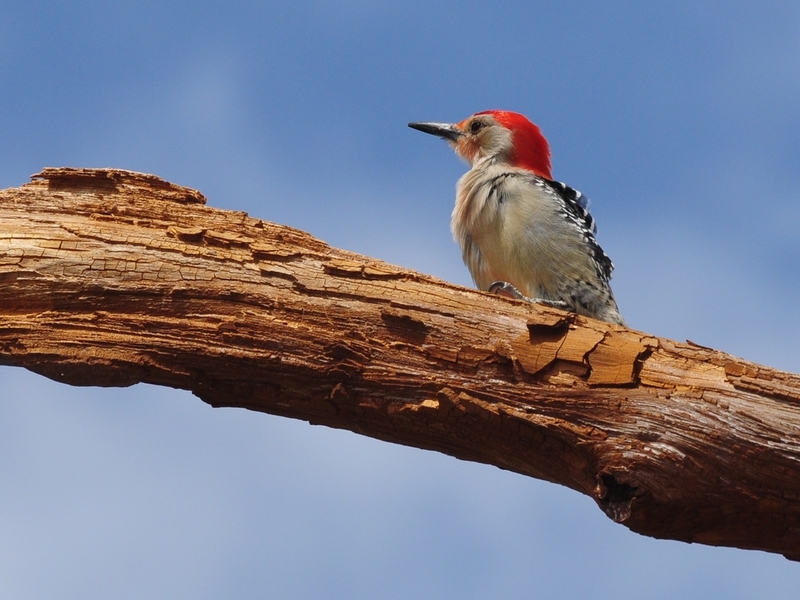 The bird then moved to the shady side of the tree and the Better Beamer made for a nice even light. To be honest, it’s perhaps a little too even and looks somewhat artificial. Still, it is much better than the shots I made afterward without the attachment. 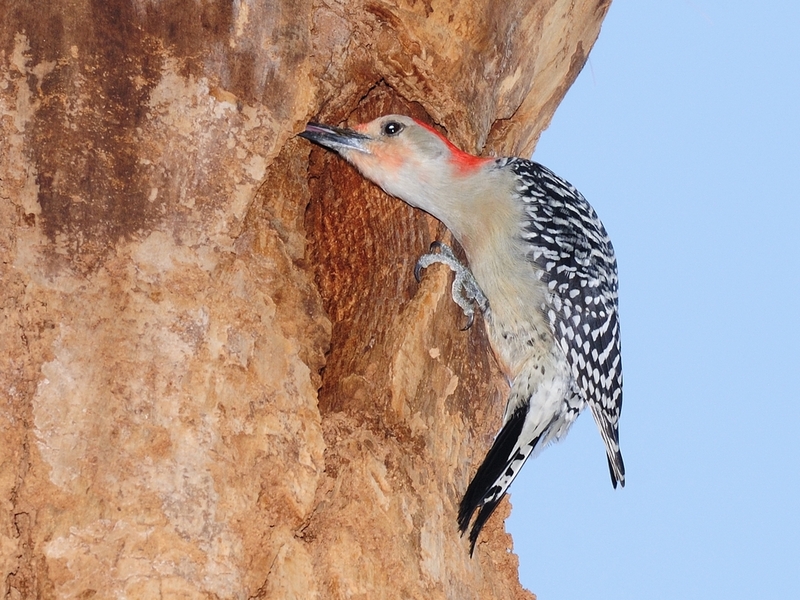 This entry was posted in Bird, Camera Gear and tagged Better Beamer, Photography, Red bellied, Woodpecker. Bookmark the permalink.